About Us - Molding Minds: Creating Powerful Purposeful People! Molding Minds Ministries was founded by a chosen leader who is purposed to help empower people toward their purpose. Teyonna Aiken earned her Bachelors of Arts degree in Sociology from the State University of New York (College at Old Westbury) and graduated on the Dean's list with honors in 2003. In 2011 she earned her Masters of Science degree in Counseling Studies and completed her graduate program with a 4.0 GPA (by the grace of God of course). Currently, she is a doctoral level graduate student completing her PhD in Non Profit Management (Social & Community Services). Teyonna has provided counseling services for several agencies in the Hampton Roads area where she has facilitated one on one & group therapy sessions for various populations to help rebuild families in underprivileged communities. She has worked with at risk youth and adult populations which is where she originally recognized the need for a program that would build strong families and help people to recognize the power and potential that they possess. She founded Molding Minds Ministries in 2009 and launched her vision to meet the basic needs of the people in the community in an effort to help them to be able focus on their future through empowerment and education. Molding Minds has recently spearheaded a new clothing drive initiative to provide clothing and shoes to those in need. 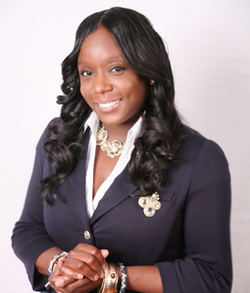 Her women's ministry, Molding Mommies, continues to be influential in the lives of single mothers and other women in the Hampton Roads area as she delivers powerful messages, teaches workshops, and organizes community outreach to encourage and educate people toward the destiny that God has promised them. Teyonna is in the process of writing her book "Molding Me" which will chronicle her detailed testimony about how God shaped her life and took her from sinister to minister. The book will include the truth about everything that she has encountered, tried, failed, conquered, learned, and overcome to get where she is today. She wears many hats as a mother, daughter, founder, evangelist, motivational speaker, counselor, graduate student, author, community activist, and philanthropist. Her vision is to be able to "write big checks with a big purpose" in order to launch Molding Minds in every state, country, and nation to build faith, schools, shelters, and better communities. She believes in the power of one, and recognizes that she is just one person who is backed by the extraordinary power of one magnificent and capable GOD. Teyonna knows that her most important and fulfilling role as a child of God because she is a princess in His Kingdom, she will tell anyone who will listen that she is nothing and can do nothing if God wasn't at the center of her life. Her story is an example of what God will do with a life that is submitted, surrendered, and shaped by His hands. Teyonna wishes to take this opportunity to publicly acknowledge Him so that He receives all of the glory as it is HE who does exceedingly and above all we could ever imagine. I, the Lord, have called you to demonstrate my righteousness.